Students writing stories this week? Parents/teachers helping kids with stories this week? For example, do not write “small, wooden, isolated cabin.” The picture that a reader gets when reading that is not much different than he would get if he just read “cabin.” By their nature, most cabins are small, wooden, and isolated (or at least we picture them as so). 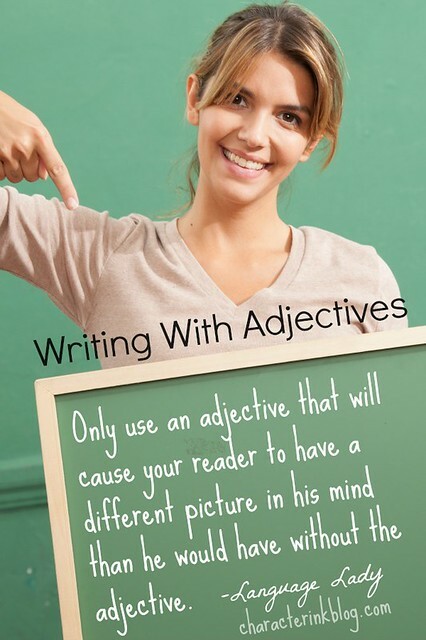 Only use an adjective if it creates a different picture of the noun than the noun alone paints. Use specific and vivid adjectives–or omit them altogether.